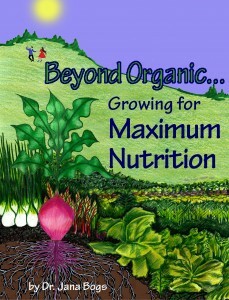 New Book–Beyond Organic…Growing for Maximum Nutrition–Get your Free copy Now! This free book offer is only available Sunday, August 4 through Tuesday, August 6, after that it is $9.99. Feel free to share it with friends. The more people who download my book and write favorable reviews, the more my book will go up in the ratings and be easily found. 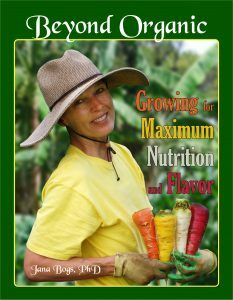 Mahalo (Thank You) for your interest and support! 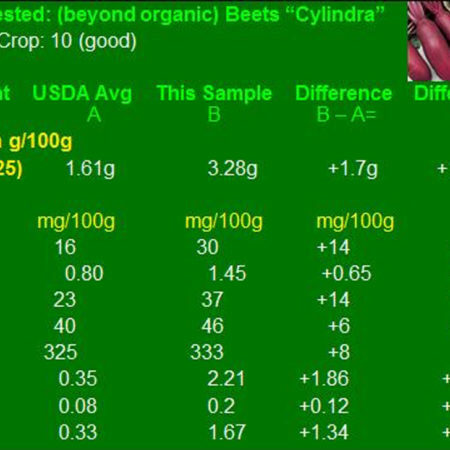 http://beyondorganicresearch.com/wp-content/uploads/2017/06/bor-logo.jpg 0 0 Dr. Jana Bogs http://beyondorganicresearch.com/wp-content/uploads/2017/06/bor-logo.jpg Dr. Jana Bogs2013-08-04 14:51:002014-09-26 19:02:56New Book--Beyond Organic...Growing for Maximum Nutrition--Get your Free copy Now! Does the cultivation system in which apples are grown affect blood glucose response from the resulting fruits? Field reports from diabetic patients and preliminary trial data suggest this may be so. For example, a diabetic patient in Washington state had been told by his doctor to not eat fruit because it would spike his blood glucose. He monitored his responses regularly at home with his own blood glucose meter. He was surprised to find that apples and cherries from orchards that were managed with nutrient-rich methods did not spike his blood glucose, yet the same fruit cultivars which were conventionally grown would spike his blood glucose. His doctor did not believe him, so to prove his theory the patient sat in the doctor’s office, ate a bowl of well-grown cherries and tested his blood glucose response there on the spot! When I heard the field reports, the nutritionist in me was certainly intrigued and I immediately began planning an experimental trial for myself. I got some apples shipped from Washington State and bought a blood glucose meter. Let me help you understand the way the testing was done. I ate apples and tested my blood glucose response on 3 different days. The reason for this is that I had to start in the morning with a fasting blood glucose as a baseline. This means I had not eaten anything since the night before so that my blood glucose would be near the same level at the start of each day of the trial. So the first thing each morning was getting my baseline reading, then I ate the apples (the same amount each time) and tested my blood glucose every 10 minutes. The chart below shows the results. The response to the well-managed apples is the green line. What was extremely surprising was that the apples with the highest level of sugars (measured in degrees Brix) had the lowest blood glucose effect! This was completely counter-intuitive! Apparently, when apples are grown well, they are able to taste wonderfully sweet and yet not spike the blood glucose. The red line on the chart represents the glycemic response to the lower brix apples. Even though the apples had less sugar, they caused the blood glucose to rise past 140 mg/dl. The blue line, representing the medium brix apples peaked between the others, which seems logical. Notice though, that the blood glucose dropped to near baseline quickly, whereas the higher brix green line continued on a low plateau for an extended period–just what we want from a food–sustained energy. I did perform many other trials with various apples for comparison. 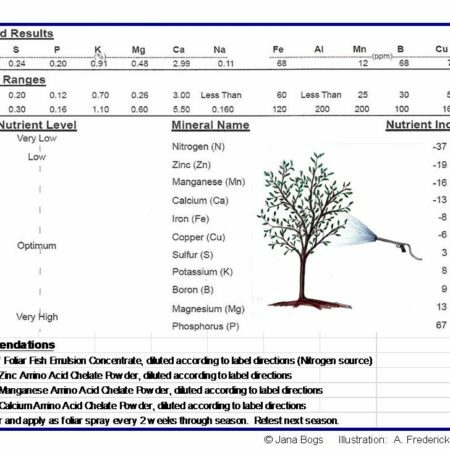 I learned, for example, that just because an apple achieves a high brix reading does not mean that it will show a low glycemic effect. The method of growing appears to be key. What factors in these well-grown apples are responsible for the effect? That is one of the next research questions to be answered. This is it–the cutting edge of research! Here’s another trial with Fuji apples–Conventional Growing vs. 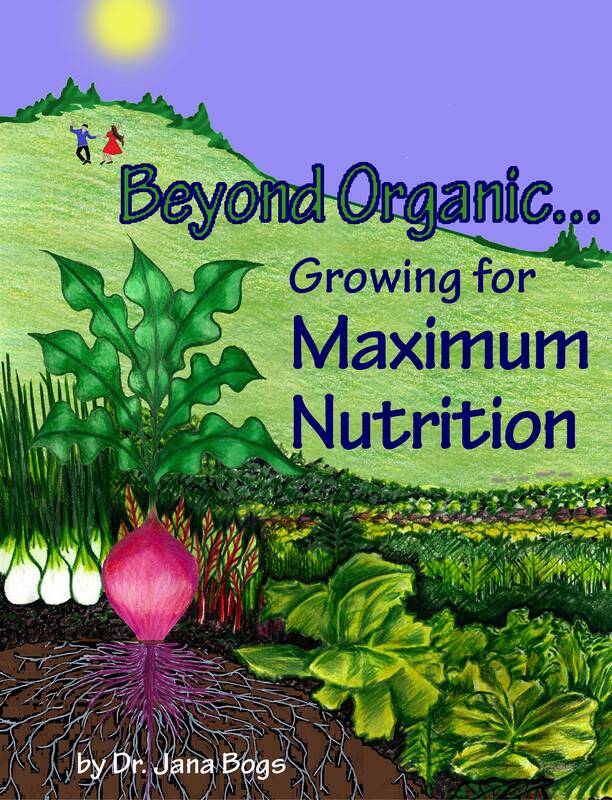 Biological “Beyond Organic” type growing methods. The conventional apples’ blood glycemic response (red line) spiked up quickly to its peak in only 20 minutes. It also descended quickly, going well below baseline and remaining there. These levels below baseline indicate a hypoglycemic response. Hypoglycemia can make one feel hungry, tired, and foggy-headed. By contrast, the “Beyond Organic” Biologically-Grown apples’ blood glycemic response (blue line) had a much slower rise to peak–60 minutes. The peak was quite a bit lower at approximately 110 mg/dl, as opposed to the conventional apples’ glycemic peak at approximately 122 mg/dl. Furthermore, the “Beyond Organic” glycemic response curve dipped only slightly below baseline before quickly returning to normal levels. I find this type of work absolutely fascinating and feel that it has great potential for not only diabetics, those with hypoglycemic and/or weight issues, but also for the health of our entire population.